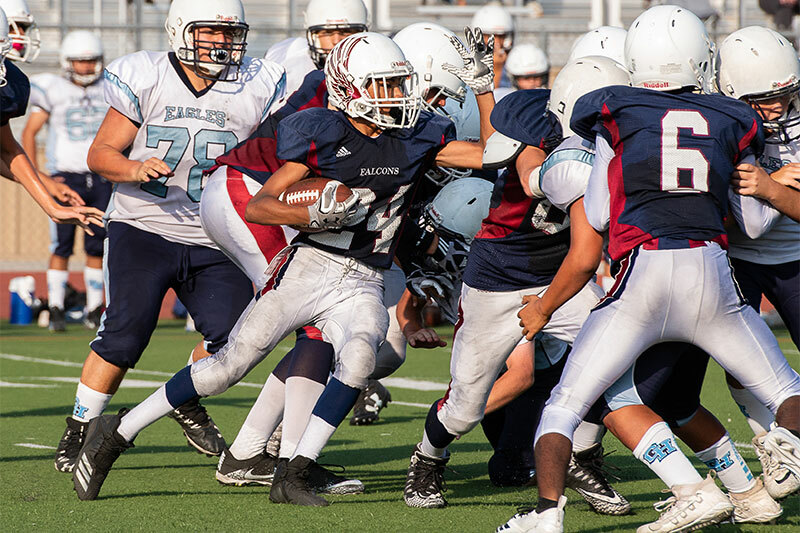 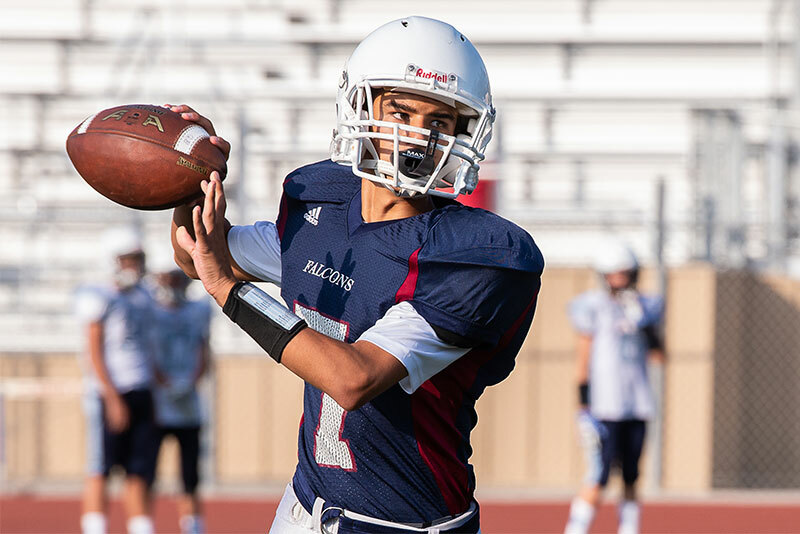 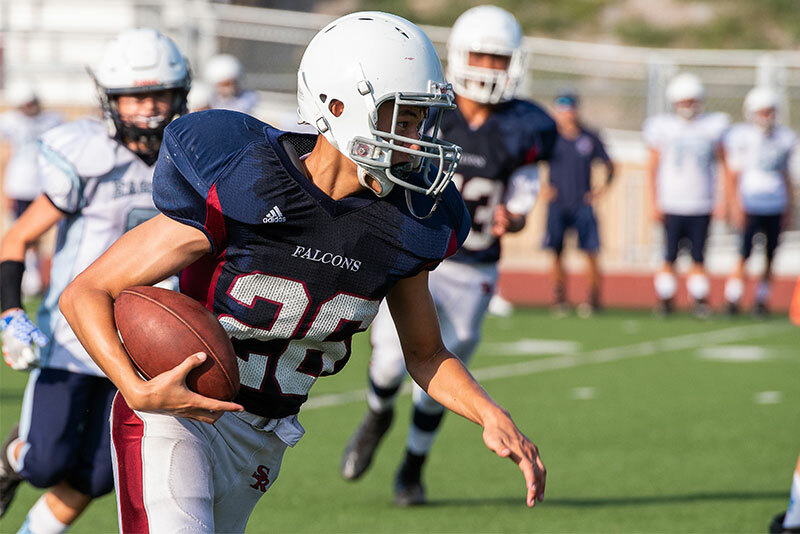 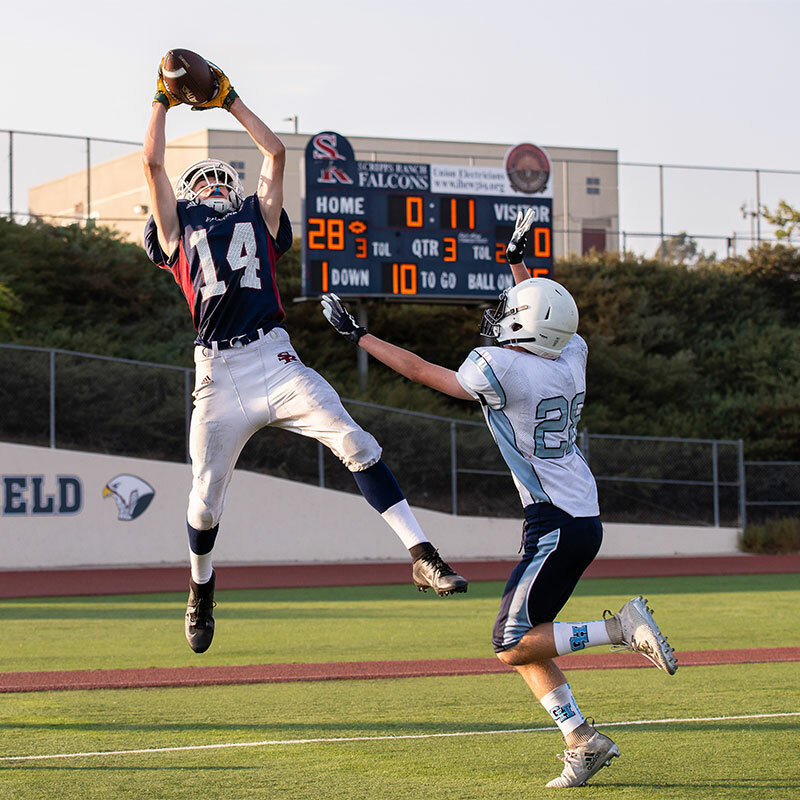 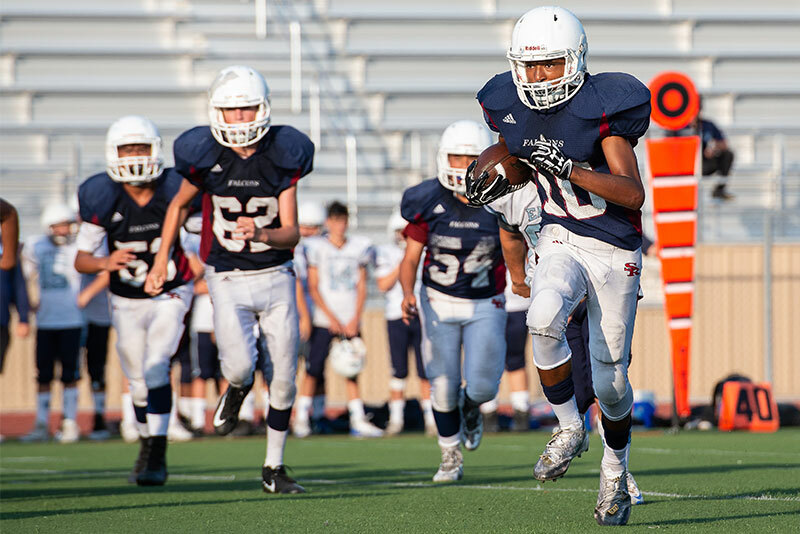 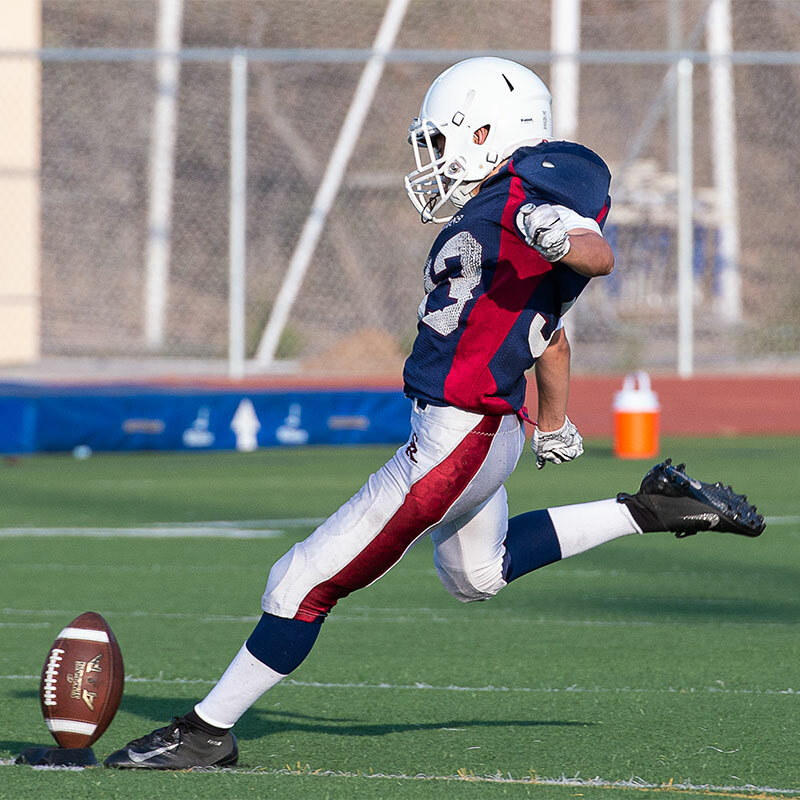 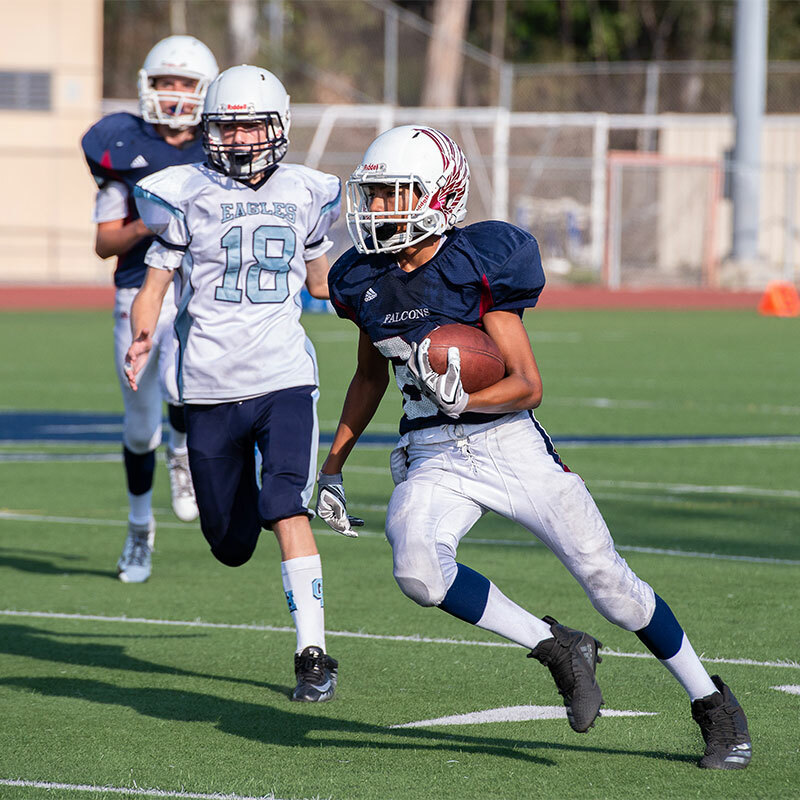 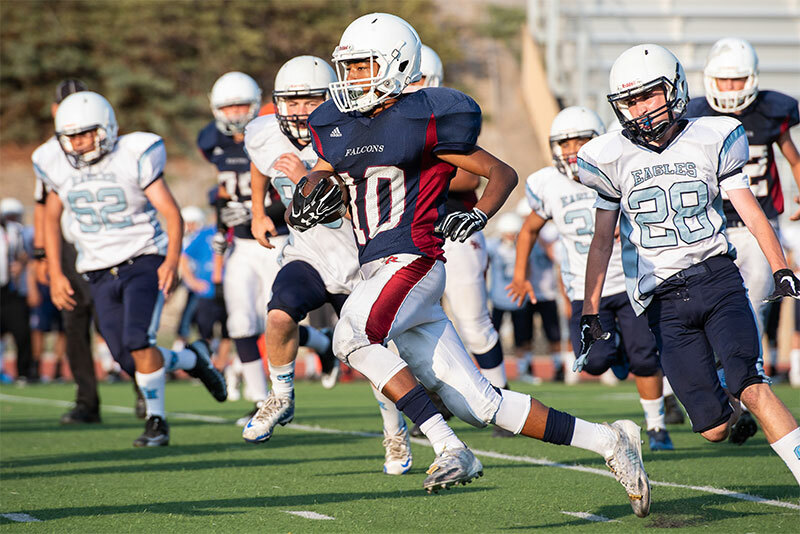 The 2018 Scripps Ranch High School Football kicked off Thursday evening, Aug. 16 as the Falcons freshman team played Granite Hills High School, beating them 43-0. 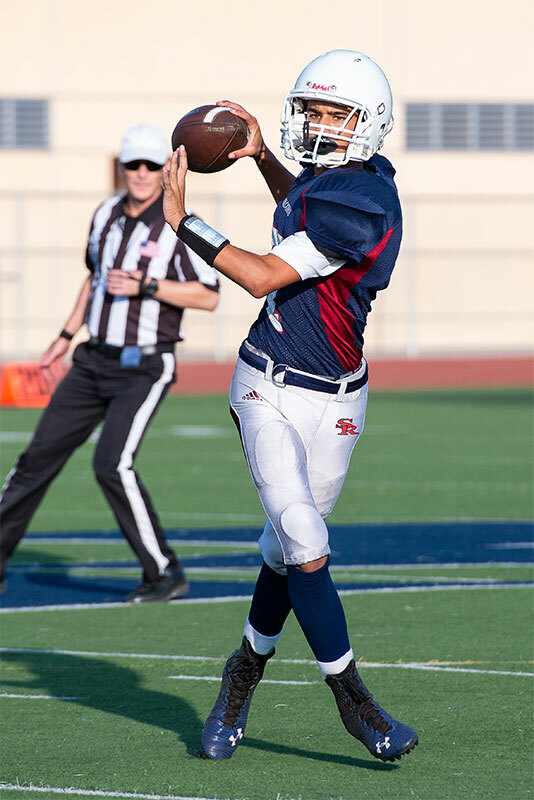 Scripps Ranch appeared to scramble to find any kind of rhythm to their game during the very first two minutes. 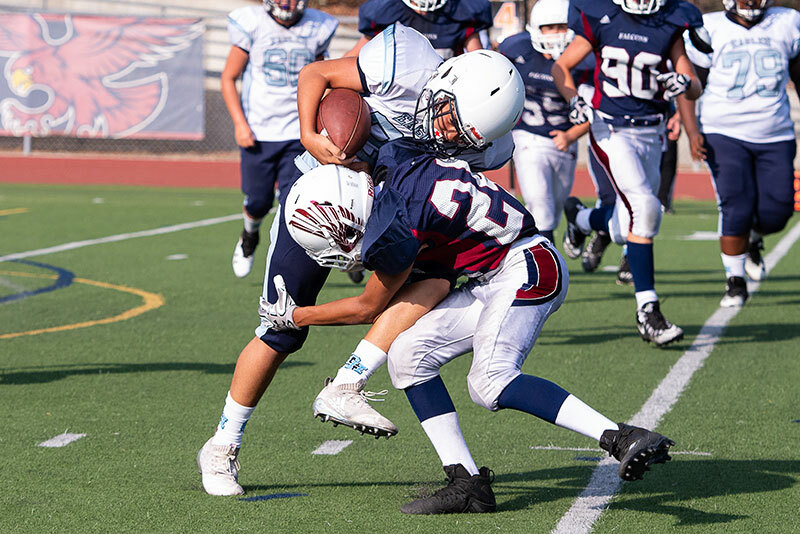 But as soon as they got in sync, they dominated the rest of the game, capturing a big win and a shut-out to start the season on the right foot.